The San Diego Chargers announced Wednesday the organization has finalized a Citizens’ Initiative aimed at providing an expanded convention facility and new multi-use venue in downtown San Diego. The Citizens’ Initiative was posted in full on Chargers.com. 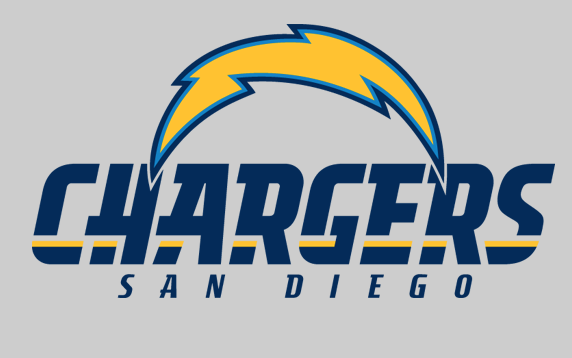 The Chargers and supporters of the Citizens’ Initiative must gather 66,447 valid signatures from registered San Diego City voters by mid-June. The following Q&A can answer many important questions. What would the Citizens’ Initiative, officially released today by the Chargers, accomplish? The Citizens’ Initiative, if approved by the voters, would allow the creation of a joint use stadium-convention center facility in downtown San Diego. The Citizens’ Initiative would also provide for increases in the Transient Occupancy Tax (TOT) – the hotel tax paid by visitors to San Diego – to help pay for the joint use facility. When would the Citizens’ Initiative be placed before the voters? We hope that the Citizens’ Initiative will be before voters on November 8, 2016, the date of the Presidential Election. What has to happen for the Citizens’ Initiative to qualify for the ballot? The Chargers and supporters of the Citizens’ Initiative must gather 66,447 valid signatures from registered San Diego voters by mid-June. (This number is determined by law and is 10 percent of registered voters of the City at the last City-wide general election.) Our goal would be to collect considerably in excess of the required number of signatures to ensure that we will have in excess of what we need to qualify for the ballot. Who can sign the Citizens’ Initiative petition? Since the Citizens’ Initiative will be on the San Diego City election ballot, only people who are registered to vote in the City of San Diego may sign the petition. Is it too late for someone to register to vote before signing the initiative? No, it’s not too late. All that’s required is that a San Diego City resident be registered to vote at the time he or she signs the Citizens’ Initiative. And since signature gathering won’t begin until roughly three weeks from now, and won’t end until mid-June, there is plenty of time for San Diego City residents to register to vote and sign the initiative. When does the signature gathering begin? San Diego election law requires the publication of the Citizens’ Initiative in the newspaper. Once that occurs this week, then signature gathering can begin on the 21st day after that publication. Will there be opportunities for volunteers to help with the signature gathering? Absolutely. 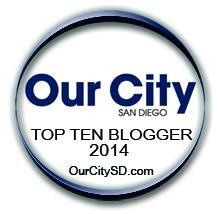 The success of the signature gathering effort will depend on the enthusiastic support of San Diego residents. By the time signature gathering begins, we will have created a full menu of opportunities for voters who wish to participate, including for those who want to help with signature gathering. How much money would a pro football team have to put toward the project? The Citizens’ Initiative requires the pro team to contribute $650 million and agree to a 30-year lease with the City of San Diego. Under the terms of the Citizens’ Initiative, the project cannot be constructed until those conditions are satisfied. Where does the rest of the money for the joint use stadium-convention center facility come from? The remainder of the project will be funded by an increase in the TOT. If the Citizens’ Initiative is approved by voters, the hotel tax in San Diego will be 16.5 percent. This increase will also pay for a new tourism marketing program for the City of San Diego, which is part of the overall, integrated plan. Does the Citizens’ Initiative take any money from the City or County General Funds to pay for the project? No. The sole funding source for the Citizens’ Initiative is the increase in the hotel tax. What will the combined facility look like? The stadium portion of the facility would contain approximately 65,000 seats and would be expandable as necessary to host Super Bowls and other larger events. The convention center portion of the facility will be designed to provide the equivalent of the additional space that the City of San Diego has been attempting to add to the existing convention center. We look forward to releasing some design drawings to the public in the coming weeks. What happens to the 166-acre stadium site in Mission Valley if the Citizens’ Initiative is approved and a new facility is constructed downtown? We support the efforts of the coalition led by Donna Frye to convert the Mission Valley stadium site to recreational and educational uses. The Mission Valley site offers a tremendous opportunity for the development of a riverfront park, and the remainder of the site could in the future be put to great use by San Diego State and other educational institutions. This will all be made possible if the Citizens’ Initiative is approved and a new stadium is built downtown. Will a two-thirds vote be required to approve the Citizens’ Initiative? Or can the Citizens’ Initiative be approved by a simple majority of voters? There is a brand new California Court of Appeal decision that will help determine the answer to these questions. That decision is now being carefully evaluated by the San Diego City Attorney along with lawyers all across California. In the meantime, our goal is to win the support of as many voters as possible. We heard a great deal over the last year about how difficult it would be to overcome various obstacles downtown, including the necessary relocation of the bus yards. Does the Citizens’ Initiative remove these obstacles? Even if the Citizens’ Initiative is approved by the voters, there will still be obstacles to overcome – as with any large development project. But we would not have embarked upon this effort if we did not believe that we could solve the remaining issues within a reasonable period of time. Where can we read the entire text of the Citizens’ Initiative? The final language of the Citizens’ Initiative will be published locally this week. In the meantime, you can access a draft of the Initiative at Citizens’ Initiative.